Professor Tetsuya Noda, one of the world's most eminent print makers and contemporary artists, and a leading figure in Japanese contemporary design, will be giving a master class in traditional Japanese woodblock printmaking to students at London Metropolitan University. During his visit, which is sponsored by the Agency of Cultural Affairs, he will be giving demonstrations of the famous water-based Japanese woodblock print techniques. He will also give a talk about his own works in connection with these techniques. Professor Tetysuya Noda was born in Kumamoto Prefecture, Japan in 1940 and studied Painting and Fine Art at the Tokyo National University of Fine Arts and Music. His extraordinary talent as an artist was noticed at a young age, and he won the International Grand Prize at the Tokyo International Print Biennale in 1968, not long after graduating from his master's degree. 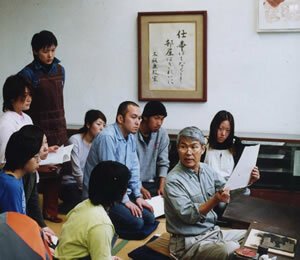 He has taught at the Tokyo National University of Fine Arts and Music since 1978 and has been professor there since 1991. His teaching has inspired and helped to nurture many young artists, and helped to make links between Japan and the rest of the world. He received an honorary degree from London Metropolitan University in 2006. Professor Noda's artworks capture moments in daily life; neighbourhood scenes, his young daughter or a vegetable in the kitchen. They depict the ordinary and the everyday, the often overlooked everyday moments. His work shows us the poignancy and transience of everyday life. His work is displayed in art galleries and museums all over the world. 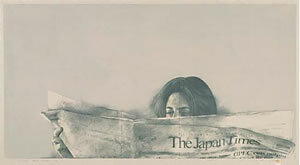 Here in the UK, his work is in the collections of the British Museum and the Arts Council of Great Britain. Professor Noda will give a demonstration of his technique. Places are limited to 30. A talk arranged in partnership with The Alumni Association. Professor Noda will discuss his life and work. Places limited to 50 on first come basis.